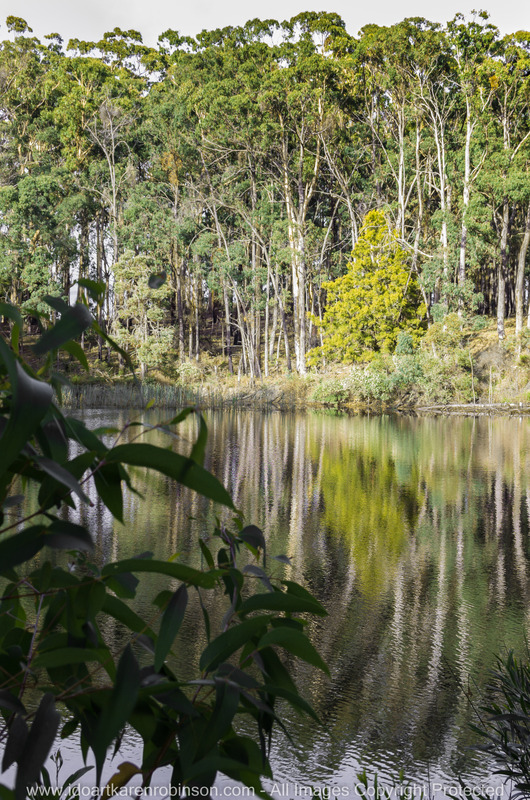 Lerderderg State Park encompasses scenic and geological gorge formations surrounding the Lerderderg River as well as the volcanic cone of Mount Blackwood. The adjacent and separate block called the Pyrete Range forms part of the park. The park is known for its remote setting and the 300 deep Lerderderg River gorge is a dominant feature. Private land abuts the park to the south and the Wombat State forest abuts to the north and west (VEAC.Vic.Gov – 2017). 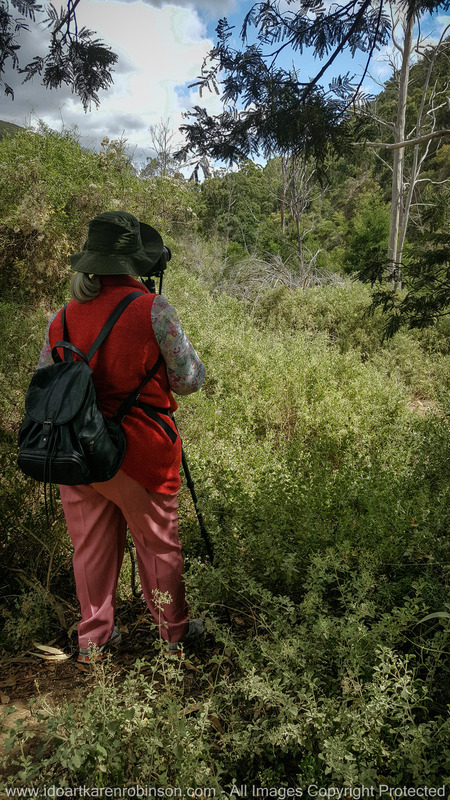 A range of vegetation types, including a riparian Blue Gum and Manna Gum community of State significance and 23 significant plant species present in Lerderderg State Park, together with nine significant animal species. The vegetation changes dramatically from north to south in accordance with the rainfall gradient. 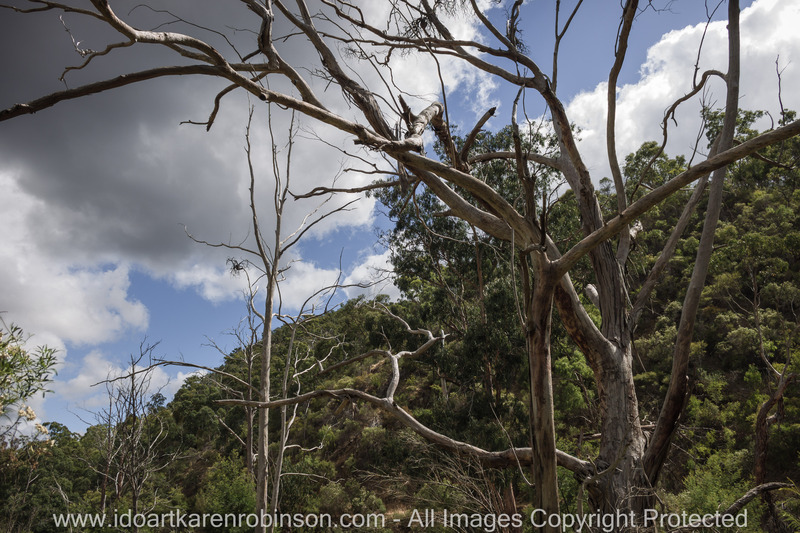 Dry Stringy-bark-box forests are found near the gorge mouth, and Box-Iron-bark woodlands along the high ridges of the south. There is a change to taller, damper Messmate-Peppermint-Gum Forests along the northern boundary of the park. The river margins support Blue Gum and Manna Gum, while grevilleas, wattles and hakeas are found in steep and rocky sections. Late winter and spring are best times to see the spectacular display of wildflowers. 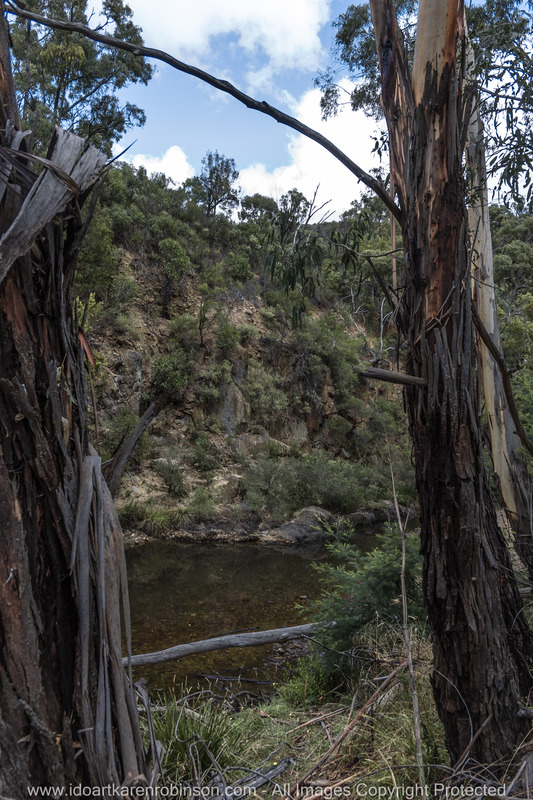 The Lerderderg River is a proclaimed Heritage River and there are 3 reference areas in the park (VEAC.Vic.Gov – 2017). The Wurundjeri and the Wathaurung are Aboriginal tribes known to have lived in the area. European occupation of the area commenced during the 1830s when squatters took up large pastoral runs around Bacchus Marsh. Gold was first discovered at what is now the township of Blackwood, in 1851. 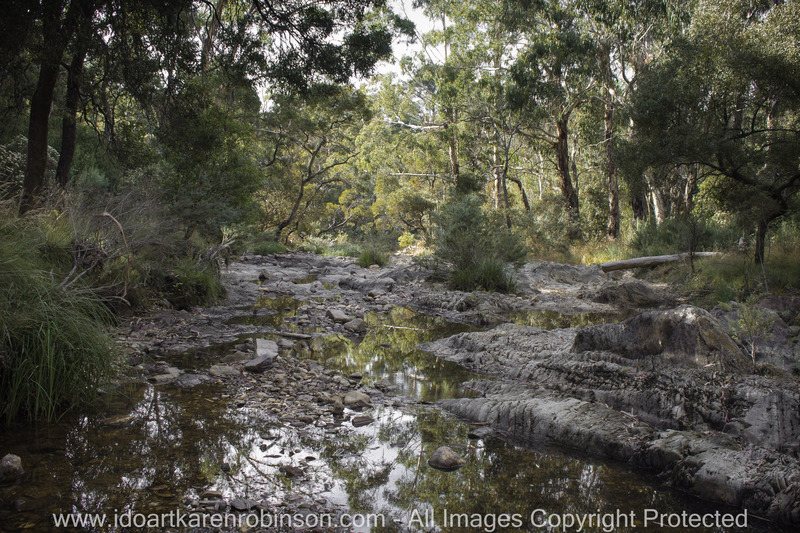 The area was rich in alluvial gold and large nuggets were found chiefly in the bed of the Lerderderg River and its tributaries in what is now the Wombat State Forest and Lerderderg State Park (VEAC.Vic.Gov – 2017). 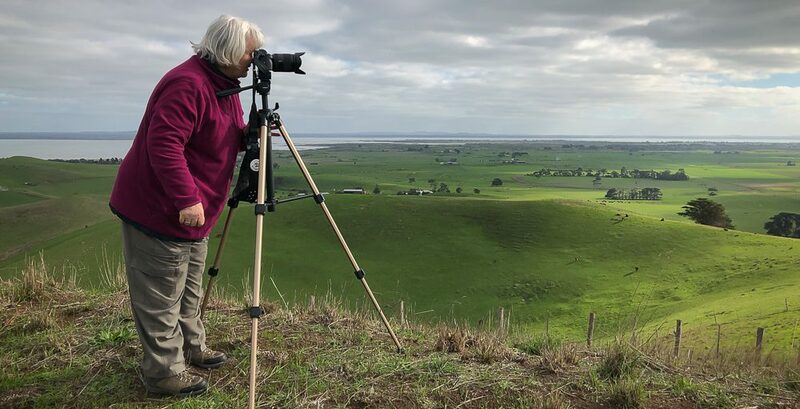 During this landscape photography exercise – I used my EOS 1100D Canon DSLR camera on a tripod with a remote timer for the big shots. I also used my Samsung Galaxy S6 mobile phone for quick spontaneous photographs and to also gain GPS location readings. On my return home, I downloaded all the photographs into Adobe Lightroom 6. I developed a small selection of photographs. It was once more a new experience, especially developing the landscape photographs where some of the skyline was over exposed. A number of the photographs I decided to crop the sky out of the photograph itself. I also decided to turn some into black and white photographs in order to gain the best raw photographic details – using Lightroom 6. 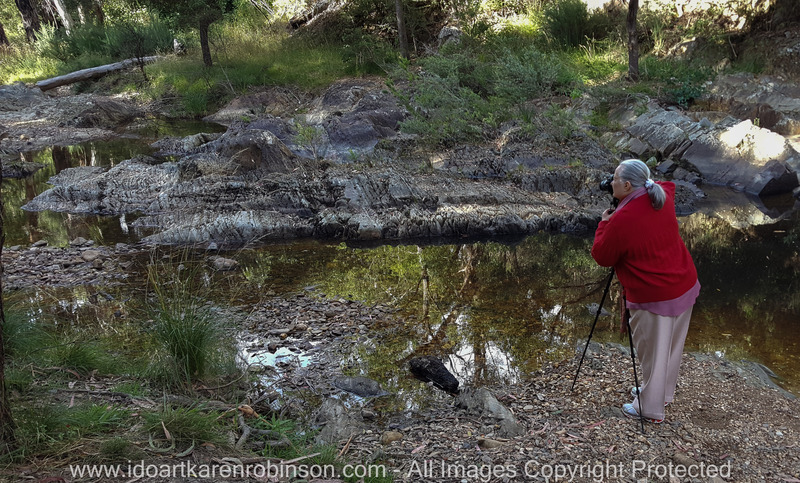 Overall though I was happy with my efforts and feel that the essence of the natural Australia bush was captured. Please find both above and below the best of what I took on the day. 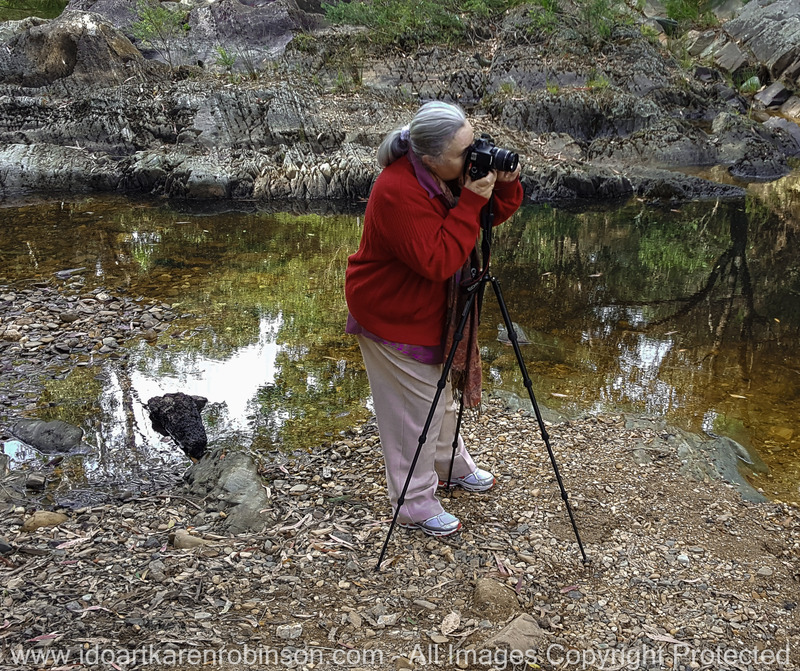 This entry was posted in Photography and tagged Adobe Lightroom 6, Art Therapy, Australian Bush, Australian Gum Trees, EOS 1100D Canon DSLR Camera, idoartkarenrobinson, Karen Robinson, Landscape Photography, Lerderderg River, Lerderderg State Park, MacKenzies Flat, Photography, Samsung Galaxy S6 Mobile Phone, Shaws Lake by idoartkarenrobinson. Bookmark the permalink. I love your blog Karen. There’s a lot to go through and I don’t follow too many as I am only allowed 24 hours a day. Glad to see you following jamoroki-art I hope to see you on jamoroki as well where there is more going on. Keep well James. Beautiful landscape and photos. A lovely place and I enjoyed learning about the trees etc. so different from my area in the US.